July 26, 2017, 1:30 p.m. Welcome to the seventh installment in a series that delves into the latest insights from the YouGov Affluent Perspective 2017 Global Study. Each year, we study the attitudes, lifestyles, values, and shopping behaviors of the world’s most successful households. Some say America’s love affair with cars may be over. Not so for the affluent — at least not yet. At present, 97% of affluent households own at least one vehicle, with the average affluent home owning two to three. The average affluent family spends around $43,000 on their primary vehicle, while the wealthiest households, which earn $450,000+ annually, spend about $83,000 on theirs. Which country makes the best vehicles? 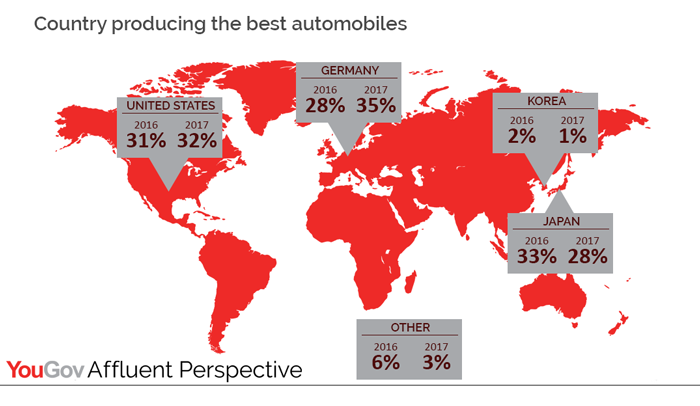 When it comes to the question of which country makes the best automobiles, members of the US affluent put Germany at the top of the list, followed by the United States and Japan. This is a significant shift from 2016, when Japan topped the list and Germany came in third. Indeed, the New York Daily News reports that six of the top 10 bestselling luxury car models in 2016 were German. 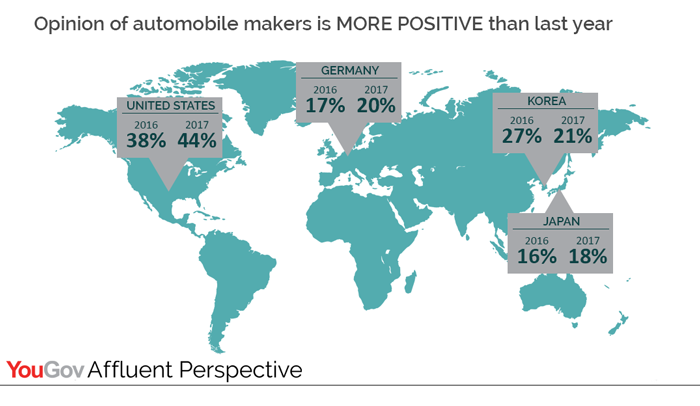 That said, feelings toward American automakers have improved among the US affluent: 44% report having a more positive opinion in 2017, compared to 38% who reported the same in 2016. Additional data shows that 76% of these well-off consumers also like brands made in the US. The US affluent’s interest in buying a car hasn’t slowed down: 25% plan to buy a primary vehicle this year — a number on par with 2016. While Millennials are often portrayed as not interested in owning an automobile, this isn’t an accurate description of affluent Millennials, who have more income and less student debt than their non-affluent peers. 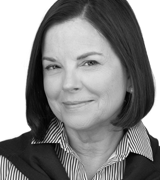 For this group, interest in purchasing a car is strong, with over 40% of affluent Millennials reporting that they plan to buy a primary vehicle in the next year, compared to a quarter of the US affluent overall. At the same time, however, a quarter of US affluent don’t see themselves owning a car in the future. For affluent Millennials, this number is even higher: nearly 50%. Furthermore, nearly one in five affluent Americans, and one in two affluent Millennials, say they are willing to share ownership of a vehicle with a group of friends. Other figures show that 79% of affluent Millennials have already used services such as Uber and Zipcar. Despite the affluent’s positive sentiment about buying and owning cars, change is definitely down the road.